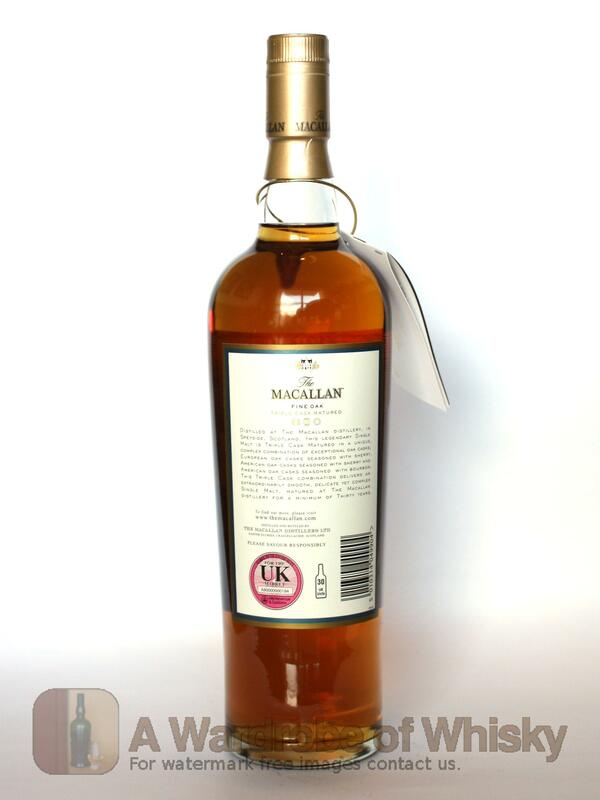 Thirty year old Macallan is a rare and rarefied whisky. 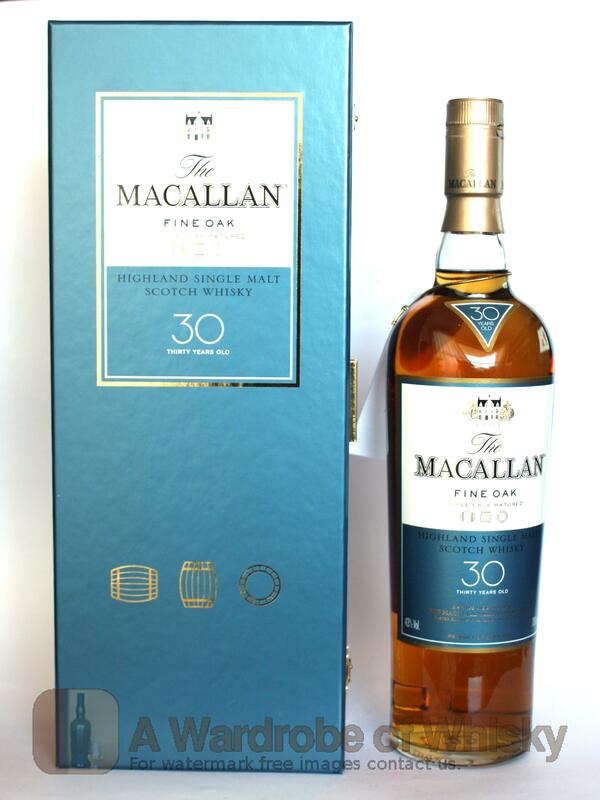 The time spent maturing in carefully selected European and American oak casks which have previously held Sherry or Bourbon creates a rich, intense liquid, with a deep colour achieved wholly naturally through the interaction between spirit and wood. Nose (91): strong. candies, floral, honey, wood, a little cocoa. Taste (92): smooth, oily. peaches, dried fruits, wood, candies, smoke, floral, cocoa. Finish (91): very long. dried fruits, raisins, wood, honey, floral. 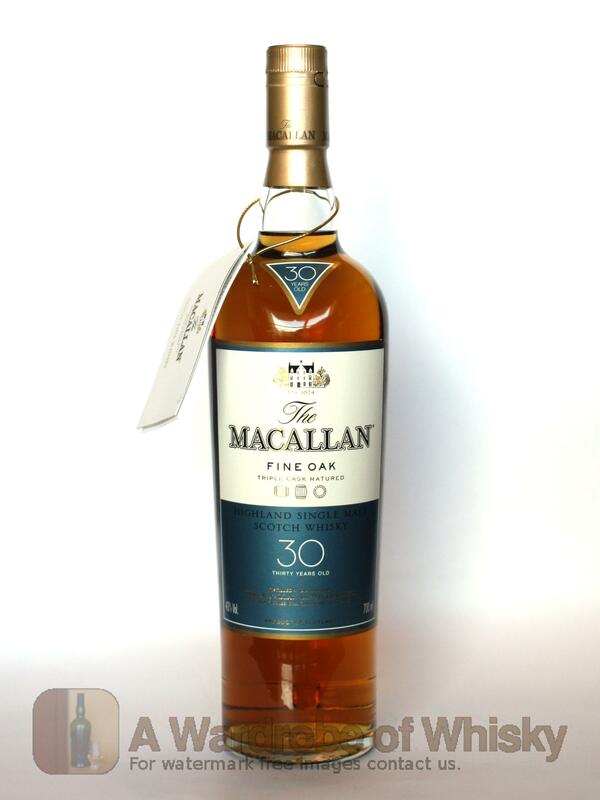 These bottles have been chosen over others because their nose, taste and finish are more similar to Macallan 30 year Fine Oak than the rest. Go to Whisky-o-matic page to fine tuning other settings.